The dam has a capacity to store 2.4 million cubic meters of water with a wall of 26 meters high. It is expected to retain enough water to irrigate 1100ha throughout the year which will benefit all categories of farmers and will lead to an increase in agricultural productivity. Z&A as the leader Consortium designer was responsible for the preparation of the pre-Feasibility, Feasibility, and Detail Designs for both Dam and Irrigation project, the preparation of the Tender documents as well as the Operation Manuals. 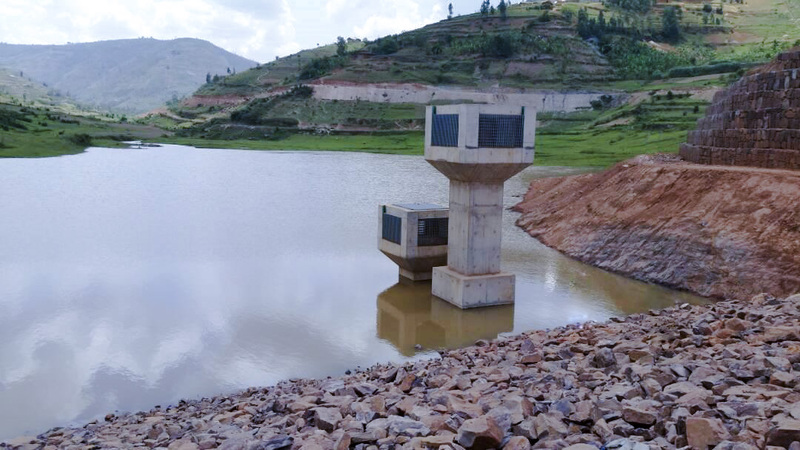 The completed Water Intake structures, and the earthfill Dam are depicted at the photos below.